Project Based Learning (PBL) is not a languages methodology - it is a tightly defined 8-element methodology from the Buck Institute in the USA. Forget the 8 steps, I want to focus in on the idea of a real world project that has a particular audience. The project gets "pitched" to the students at the start of the unit, creating energy and enthusiasm. This feeds into the content & learning, which the students need to complete the project. First, we show this video (made with Animoto). You can see the page live here (username scilvisitor password design). Second, each Year 8 student meets with a kindy kid, who brings their favourite storybook and describes what they love in a story. Here are the sorts of of end products (after about 8 weeks). 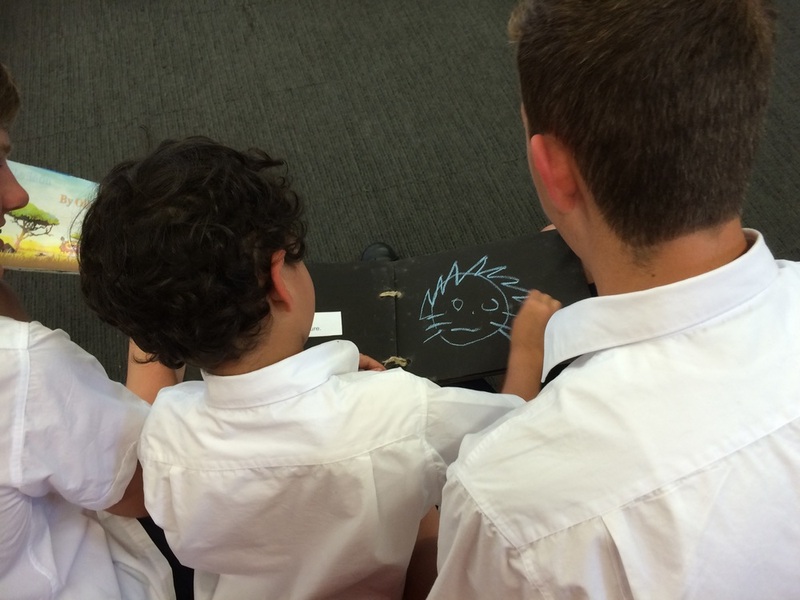 The Year 8s meet once more and gift their storybook to their kindy child. The content came in the form of story "recipe cards" available on our web portal. We organised the recipe cards onto a grid marked with Beginners / Intermediate / Advanced. We worked from left to right throughout the term. Each recipe card was linked with "guru sessions" with a teacher explaining the grammar, directing handwritten grammar exercises, and working with the class to generate repertoire of sentences.